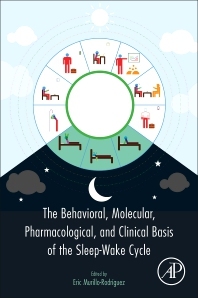 The Behavioral, Molecular, Pharmacological, and Clinical Basis of the Sleep-Wake Cycle provides the first comprehensive overview on the molecular methodologies used to evaluate sleep while also examining the cellular, biochemical, genetic, and therapeutic aspects of the sleep-wake cycle. There have been profound changes in the landscape of approaches to the study of sleep – mainly in the areas of molecular biology and molecular techniques. With this great focus on using multidisciplinary molecular methods, chapters address significant advances in the molecular mechanisms underlying sleep and the techniques researchers use to study this phenomenon. Written by world-leading experts in the area, this book is of great interest to researchers working in the sleep field and to anyone interested in one of the most mysterious phenomena in science – why we sleep and why we cannot survive without it. Dr. Murillo-Rodríguez is a psychologist and PhD in Biomedical Sciences, both degrees obtained at the National Autonomous University of Mexico (UNAM). He completed his post-doctoral training at Harvard Medical School. He serves as editor in scientific journals such as The International Journal of Neuropsychopharmacology, PLoS ONE, among others. He has published over 50 articles published in peer-review journals, 10 chapters in books and numerous presentations in domestic and international scientific meetings. He is a member of several scientific societies, including the Society for Neuroscience (USA). He has received academic awards such as the Young Investigator Award from the World Federation of Sleep Research and Sleep Research Societies Society, and am member of the National System of Researchers (Level 1) of National Council of Science and Technology (México). His scientific interest lies in the study of the neurobiological mechanisms of the endocannabinoid system on modulating the sleep-wake cycle.